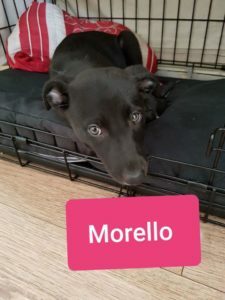 Morello the magnificent is a beautiful little girl who is very very sweet, kind and gentle, She loves nothing more than to have a nice play and then relax the day/evening away . She is wonderful with dogs and humans of all sizes. 8 Weeks Old at start June, we’ve no actual idea of breed but possibly lab/terrier/lurcher. Grown Up Size is hard to estimate also but medium – at a guess. We can’t understand why poor little Morello ( or Mo as we call her) hasn’t had any interest, not one. She is a truly magnificent little girl, Not only is she very gentle and sweet but She is also a very very clever little woman too, she knows her sit command, excellent on lead , very social, she gets on great with any age human or animal, great with recall AND goes her toilet out side. 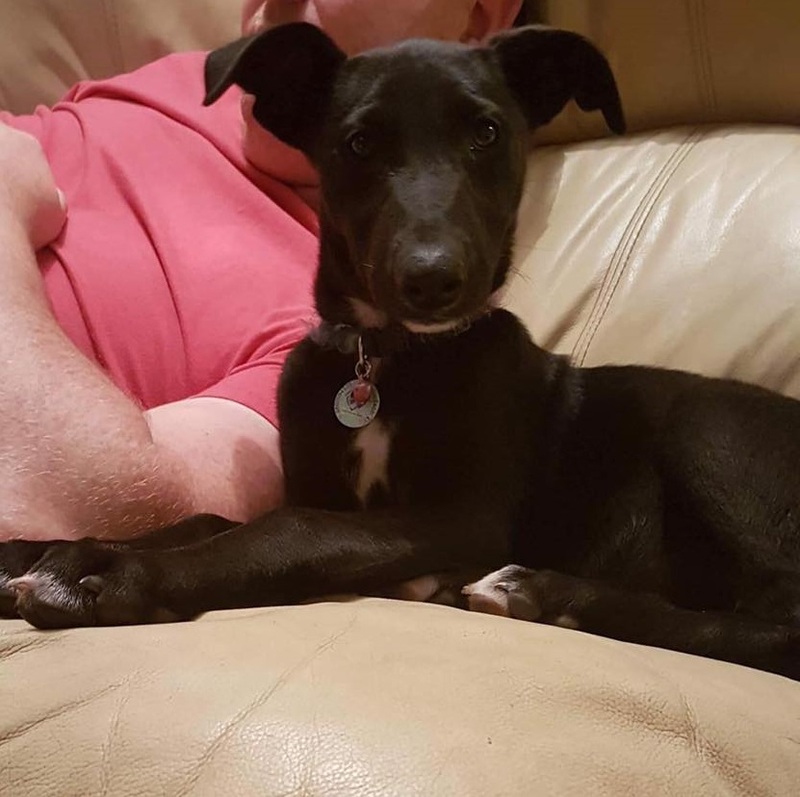 If you or you know someone who is looking for a ready made snuggle buddy or someone to watch the football with ( she really does watch it) Mo will be a medium energy dog when fully grown.